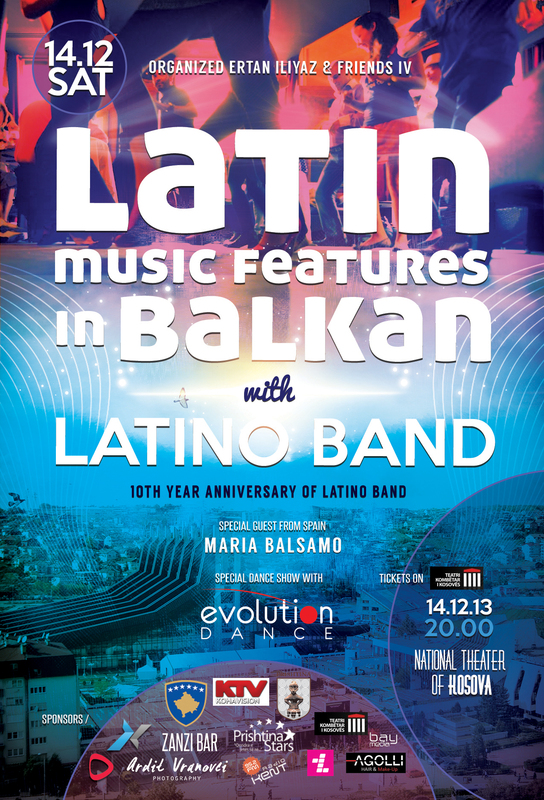 We are pleased to invite you in concert “Latin Music features in Balkan & Latino Band” which will be held on 14. 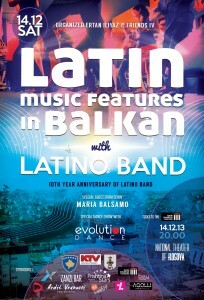 December 2013, at 20:00 at the National Theatre of Kosovo. The concert is supported by the Ministry of Culture, Youth and Sports, the Municipality of Pristine, Kosovo’s National Theatre.